In the past, it was really difficult to pull off the traditional oriental look. Gorgeous ladies put on the iconic tight-fitting cheongsams with slits up to the thigh. These days, any lady can look as good if she chooses an outfit that complements her body curves. Chinese New Year 2015 will arrive in no time - Feb 19 to be exact - and if you don't start shopping for that perfect outfit now, you would probably be left with designs that don't look that good because everyone else has already bought the best pieces! 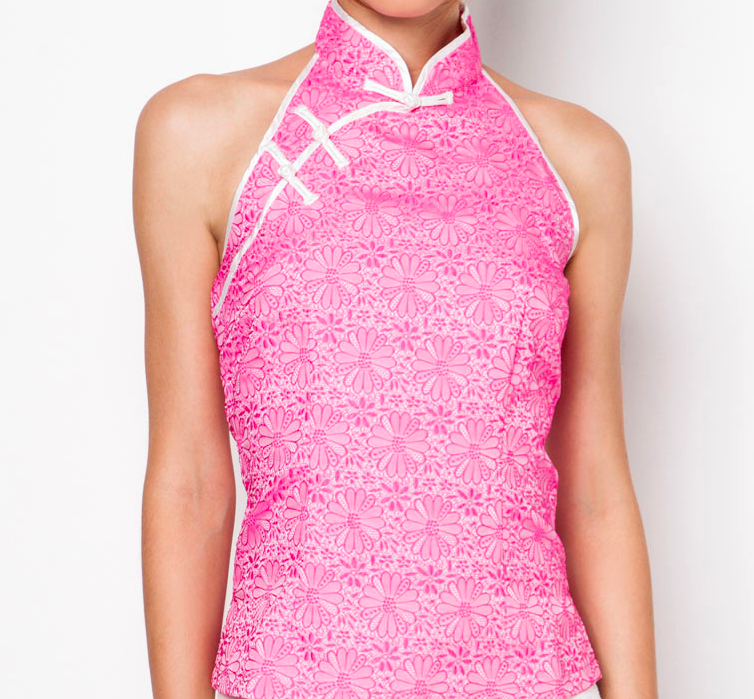 I was eyeing this particular cheongsam back in November and a month later, it's already out of stock. Yikes! 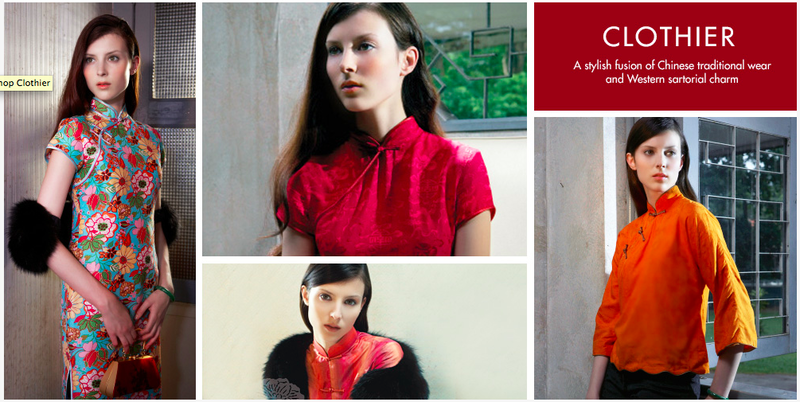 Well, here's a #trendspotting post for Chinese New Year for all the female fashionistas out there! In recent years, Chinese New Year has been celebrated and observed by many different races. Indeed, fanciful oriental timeless prints tend to catch the eye, regardless of your race. I'm not surprised to see many non-Chinese looking gorgeous in sleek cheongsam prints, such as this beautiful model on Clothier. Here are five trends to consider before you decide on your Chinese New Year outfit(s). Red is bold and bold is gold. Catwalk through your office and I'm sure heads will turn. This minimalistic and sleek dress accentuates your curves (even if you think you don't have any). It's a rich and vibrant colour with a cutting grey edge I simply adore. I also love how the V-neckline isn't too revealing. The popular white-shirt-with-black-outlines has now caught on with traditional cheongsam designs! The simple black outlines are great at distracting the viewer from unflattering body parts (e.g. : if you are slightly more plump in your thighs or arms, this would help you!) The Chinese knot button is so unique, even fashion designers wouldn't want to remove it. Cheongsams were previously made exclusively of silk for comfort, but this material used to accentuate the print designs is as good as the real deal. I've always felt that Chinese New Year makes me youthful again — perhaps because of the reunion dinners and interacting with people who are older than me. This adorable symmetrical top is something unique and would certainly catch the eye. It has the perfect contrast and blend of colours — mixing contemporary fashion with traditional Chinese prints. The idiom "Gone with the old and in with the new" doesn't always hold true! There are some songs we will never get sick of, and the same goes for fashion pieces. The classic oriental look features Chinese knot buttons and repeated print designs. Pair it with a beautiful Chinese clutch and you're all set for the brand new year! Instead of the usual red, white and pink, some oriental dresses look great in a non-traditional colour! My favourite dress is this abstract printed cut-out dress by Something Borrowed (S$19.90). ZALORA Singapore carries an almost infinite number of designs, and hunting for the perfect dress is definitely a satisfying process when you achieve your goal! You may think it's too early, but February 19 (it's my birthday too!) is just a couple of months away. 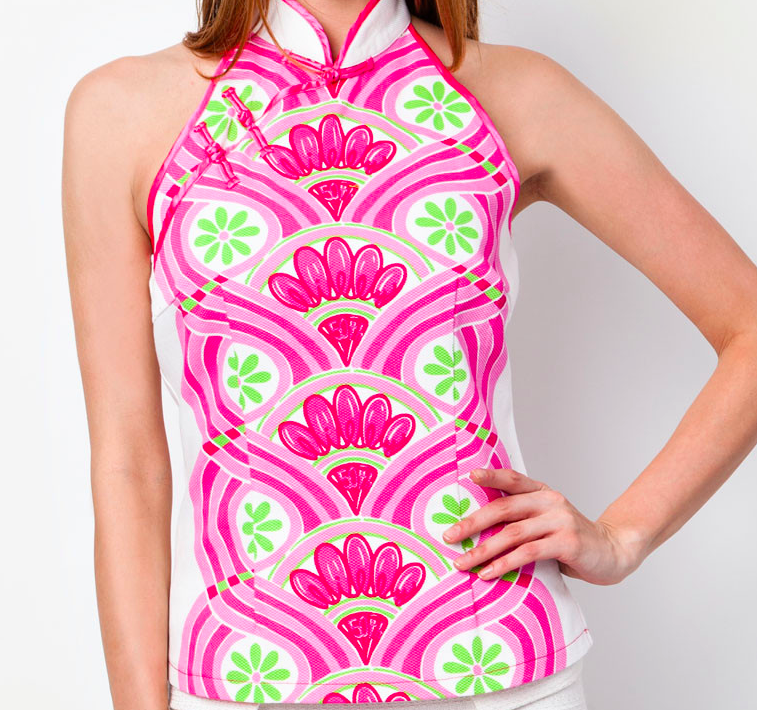 Start shopping for CNY before all the gorgeous outfits are snapped up!